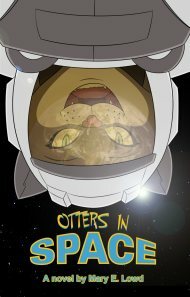 Otters in Space: The Search for Cat Havana by Mary E. Lowd is a short novel that received a 2010 Ursa Major Award nomination. It's a work of light science-fiction that I think might appeal to young adult readers. It's available from FurPlanet and Amazon, and in electronic format - see the author's website for details and links. I read the FurPlanet 2012 edition, 176 pages, ISBN 978-1-61450-043-8. Mary Lowd's name really first stood out to me in the 2012 Ursa Recommended Anthropomorphics List, which included six of her short stories. It's not unusual to see authors with multiple recommendations on the list, although when they all appear at the same time, it feels like overkill. Anyway, of those six, I definitely enjoyed St. Kalwain and the Lady Uta, appearing in ROAR volume 4, so I was curious what she would do in a longer format. Humans have left the Earth, and dogs rule. Kipper is an oppressed tabby cat who dreams of a better place where cats are free to run their own lives. When Kipper discovers a secret that might lead her to such a paradise, along with the secret comes trouble - first, Kipper's sister disappears, and then she's attacked by a dog goon herself. Kipper's escape takes her on a mad dash to Ecuador and the space elevator, where she catches a ride up to the otter-designed space station. Once in 'otter space,' Kipper must navigate an uncomfortably watery world to find out what happened to her sister and whether there really is a cat paradise. There were a couple of story elements that I found hard to believe. Kipper's suspicion that there might be a cat paradise? Built from a shaky collection of clues, enhanced by daydreaming. The dog hired to kill her? Changes from enemy to loyal friend in the space of two pages. Cats living as an oppressed underclass? Nations that control their populace usually make it much more difficult to leave the country. It took me a while to get into this book, and I think that was partially my fault. I was trying to take it too seriously. My advice to new readers: Don't take it seriously. That being said, about two-fifths of the way into the book (when Kipper reaches the space station), the science-fiction really kicks in. This is when I thought it became much more interesting to read, and wanted to keep going. Now the story wants you to take it seriously, in stark contrast to the beginning where you needed to suspend as much disbelief as possible. Looking at the book as a whole, this change in tone makes it feel a little uneven. On the bright side, I started to care a lot more about Kipper as the protagonist. (She didn't initially impress me too much.) Lowd's very good at getting you into the head of her main character, letting you follow her train of thought. You get to experience Kipper's inner reactions as her circumstances change rapidly. A practical if naive character at first, prone to the wild meanderings of her imagination, she has a ton of luck as the story progresses, to the point that she deeply regrets getting so stuck in her situation, with no option but to keep going forward. A theme that emerged from this book was a kind of... lack of social unity. With the human race gone, left in their place are several genetically uplifted species. While not at war, they don't seem to mix very much. Dogs and cats are at our level of technology. Otters, on the other hand, have advanced to the point of living and travelling through the solar system. The oceans have octopi who are close to starting their own space program. Oh, and immigrant squirrels appear at one point, but we don't learn anything about them. And yet these cultures barely seem to interact with each other, especially in terms of sharing technological advancements. Economics is mentioned briefly, but that's about it. Species-ism exists fairly equally among dogs and otters; and there's an implication that cats would be as isolationist as everyone else. Furry-wise, I really liked the amount of world-building that Lowd devoted to the otters and their space station, as well as one of their spaceships that Kipper gets to travel on. You can tell the author enjoyed coming up with the ideas; the descriptions get more detailed and the technology receives more exposition. Good work here! However, I can't let this review go without mentioning the second-last page of the book. In a single paragraph, two major plot points are revealed to have been contrivances, completely fake, and one of them had been something that had concerned me for most of the story. From the context of the paragraph, it's obviously supposed to be funny, but, well, it didn't work for me. I couldn't make myself grin and say, "Ha, you sure had me going there!" If you're the sort of reader who can take a book completely un-seriously, you won't have this problem. That aside, I still really enjoyed the more serious science-fiction parts of the story, as well as watching Kipper learn to cope with her increasingly complex situation. To me, those were its strengths. Overall, if you prefer a no-nonsense narrative, avoid this book. But if you're good at suspending disbelief and don't mind the author's occasional cavalier attitude towards her own work, then I'd say sure, give it a try. 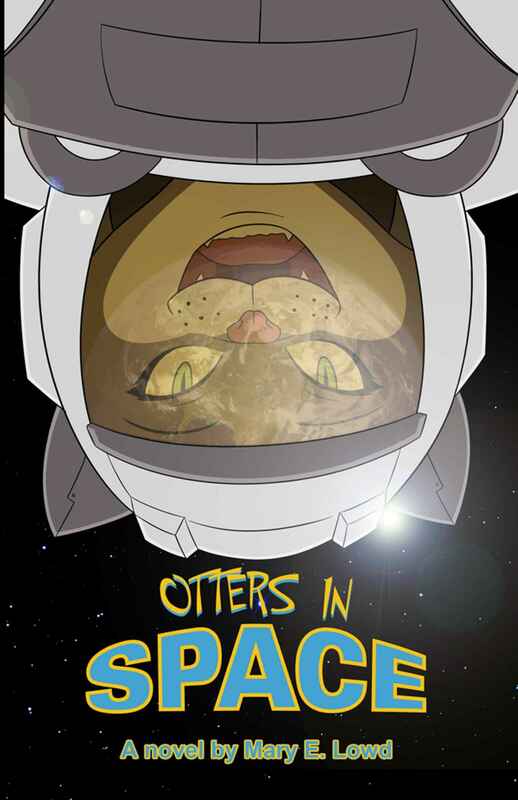 There's also a sequel, Otters in Space II: Jupiter, Deadly. I read the book around last year.I felt the story was solid my problem I was letdown at the end, not with the grass is not always greener trope but why did Kipper gone to space in the first place? Reading the Kindle preview suggests that Kipper had dreamed since childhood of visiting and/or living in space, based on the belief that life would be better up there (in a world not ruled by dogs). I have read the book. I am being vague on purpose because I do not want to be a spoiler.